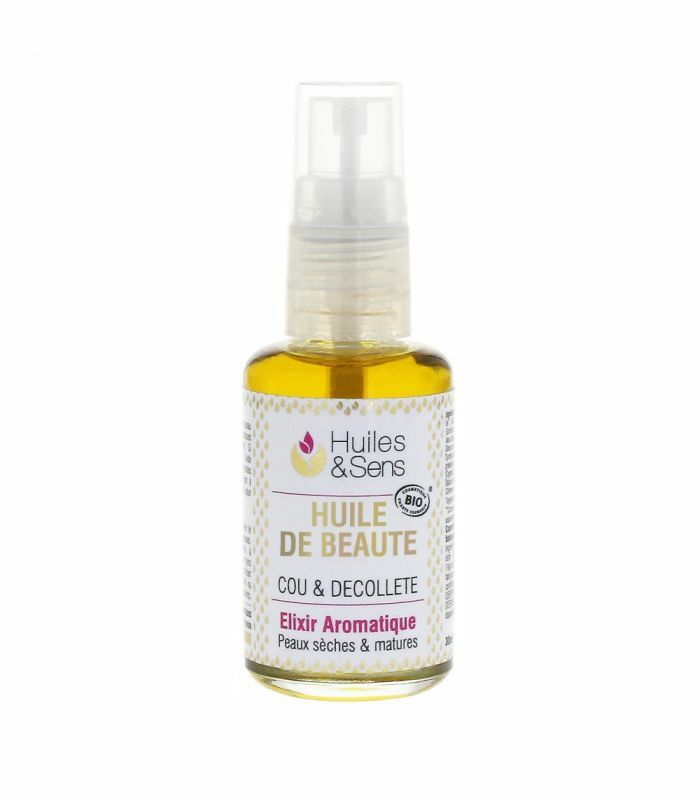 Aromatic elixir for dry and mature skin neck and decollete area. 30 ml bottle. The neck and décolleté area easily will show a women's age if it is dry, wrinkled and has horizontal lines showing. Most women completely ignore and neglect this delicate area in their daily skin care routine. Created specially to care for the neck & décollete this beauty oil helps prevent and act against damage due to environmental conditions. It regenerates and nourrishes the skin, smoothes wrinkles and delivers firming action. How to use: Apply preferably at night on a perfectly cleane and still humid skin. Use a small quantity and massage it in with the tips of the fingers. Dab the skin with a tissue until no excess oil shows there. Avoid contact with the eyes.